This festive scene includes “Christmas Mountain Man” and “Thanksgiving Dinner” featured in a diorama that brings the long lost American Wild West to life. 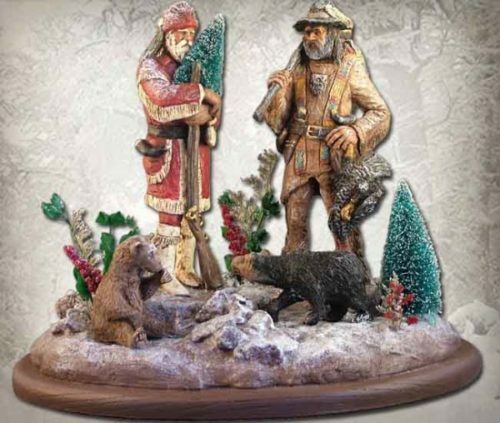 Celebrate the Holidays with a handmade sculptural scene by Michael Garman. Sculpture measures 11″ x 13.5″ x 9.5″. ©1990/2014. Handpainted finish. #MG914.